HealthBIO 2019 is part of the Life Science Live event in the Turku Fair Center from 15–16 May. The main theme of the event is Artificial Intelligence and Health. 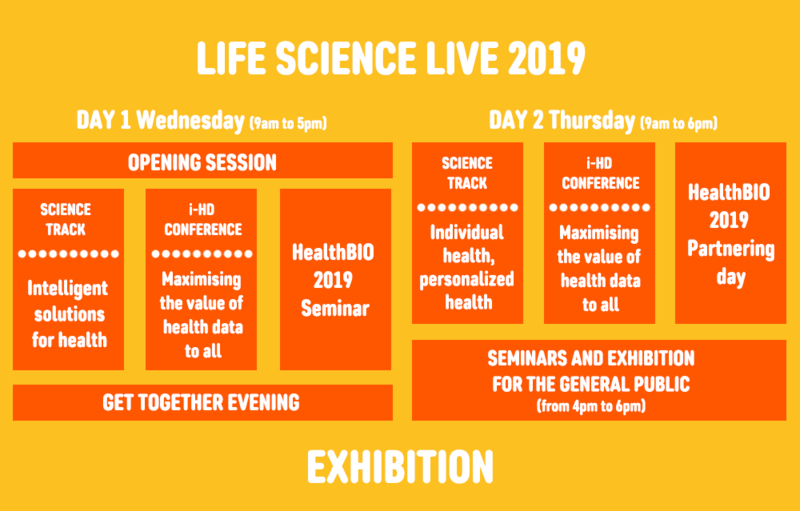 Life Science Live 2019 consists of three parallel tracks – in addition to HealthBIO Seminar and Partnering Day, the event includes scientific sessions coordinated by the University of Turku, and an i-HD conference on “Maximising the value of health data to all” organised by the European Institute for Innovation through Health Data (i~HD).